Instance Variable | Religion…music…literature…blogging. Various thoughts about my favorite subjects. 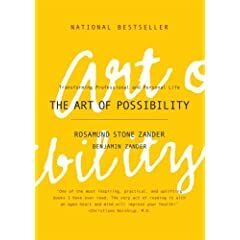 She referred to a book she read long ago that changed her vision on this topic, The Art of Possibility by Rosamund Stone Zander and Benjamin Zander. They postulated that almost everything we do in life is bound to some sort of measurement system. Those measurements could be in terms of money, social standing, popularity, ability, time, or any other such thing. Within the confines of these measurement systems, we’re always striving for “enough.” To have enough money, enough friends, enough time, enough talent. To be enough. But the ironic thing is that as long as we let ourselves be bound by such a system, we will constantly be laboring in the realm of “not enough.” We never have quite enough, or we never are quite enough. That can be an incredibly discouraging and crippling thing. The well-known nine-dot puzzle illustrates this very well. When given the challenge of connecting these nine dots with four straight lines connected at their endpoints, many people struggle to find any possible solutions. Indeed, within the imaginary square confines of the nine dots themselves, the puzzle is impossible to solve. Those boundaries, however, were never specified in the original challenge–that is, they were artificially created by the person attempting to solve the puzzle. 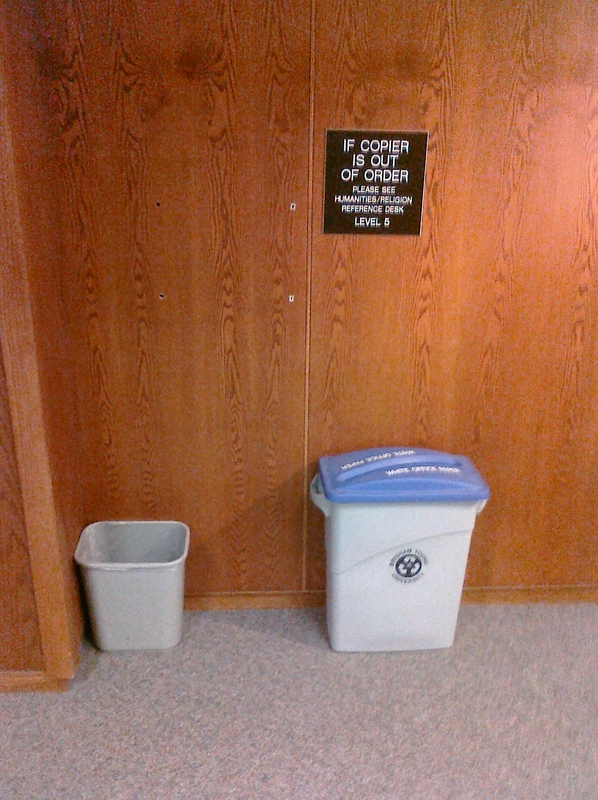 By removing these superfluous restrictions, the solution becomes possible, as illustrated here. While none of us will ever quite be able to escape this world of measurement, one thing we certainly can do is create our own reality (or perception of reality, if you prefer). If 97% on a test doesn’t satisfy your parents, you can choose to get discouraged about it and draw those imaginary boundaries to that effect around your nine dots. But you can also decide that 97% is “quite good enough,” as Sister Hall put it, and be happy with it by refusing to confine your nine dots to someone else’s perception of success. While you may still be measured by other people, you have the ability to decide for yourself what kind of a reality you wish to have. Removing those unnecessary boundaries enables you to find greater satisfaction and happiness in your achievement at whatever level. This comes, however, with a cost. Venturing outside the supposed boundaries makes you vulnerable to failure or ridicule if it turns out you were, after all, incorrect in your assumption. But the important thing to remember is that the greatest rewards come at the cost of the greatest sacrifices, and the more you work toward an end, the more valuable it will be to you after the struggles. Extraordinary people are willing to take those risks in order to (perhaps not without falling a few times first) reach higher levels of achievement than they had ever before imagined. How you draw those boundaries around your nine dots is really only between you and the Lord, not anyone else if your life. While it may be (and often is) valuable to take advice from your loved ones, you are ultimately the one who must live with the reality you create. And you can choose to make that a happy and fulfilling reality or a confined and crippling one. Sister Hall’s father gave her some excellent advice when she was struggling with an important life decision, simultaneously laboring under that realm of “not enough.” He said, “Why don’t you stop thinking about what you are not and start concentrating on what you are?” That loving counsel changed her life and made possible the career she now vigorously and successfully pursues. Pursuing the art of possibility is a worthy, indeed, an essential endeavor if you wish to become an extraordinary person and achieve the levels of success you desire. Allowing others to circumscribe your nine dots only limits you. And while there are risks in casting off those artificial shackles, the rewards of success far outweigh the sacrifices. So. . . I was looking at Google Maps the other day and happened to click on the Street View around Heritage Halls at BYU. And guess what I found? Deseret Towers! They’re still there on the images on Google. Along with the big pile of dirt where the other two towers used to be across the parking lot. Below is one of these views from Google Maps here. This one if Q Hall seen from the north side. There’s also a view of the Morris Center, U Hall, and the Dirt Pile. Maybe some time in the future they’ll redo the images and DT will disappear forever from the annals of history that are Google. But for now, it’s a nice bit of nostalgia. A friend introduced me to OC Remix quite a while ago, and I recently rediscovered one of the songs I liked. I also downloaded a few others and have been thoroughly enjoying them. I thought I’d post the links for any of you who are fans of remixed video game music. I’ve never actually played any of these games, but the music is pretty sweet. Enjoy! “Blue Skies Over Guardia” The original one introduced to me. It’s in an unusual 7/4 meter. Very intriguing. This hymn text by Theodore E. Curtis from the 1985 LDS hymnal has grown in significance for me over the last few days, as I have personally witnessed the “ample arm” of the Lord extended to me. The storm in the breast, the depression, the difficulties of one’s lot on life’s complaining sea–all these can be soothed by the Savior’s rest as we come to Him in humility. After all, Christ is the One who could and did take upon Himself our sins and infirmities (see Alma 7:11-13). In Christ we can have peace, both in the storms of this life and in the eternities.